Signed photographs of Audrey Hepburn and Charlie Chaplin, a handwritten letter from Ingrid Bergman, and an item of clothing that belonged to Marilyn Monroe, are on show in Putuo. Cheng Hao, the collector, introduces the exhibition about Hollywood's "golden age" to visitors. More than 400 original exhibits about Hollywood's "golden age" over half a century ago are being exhibited for the first time in Shanghai. 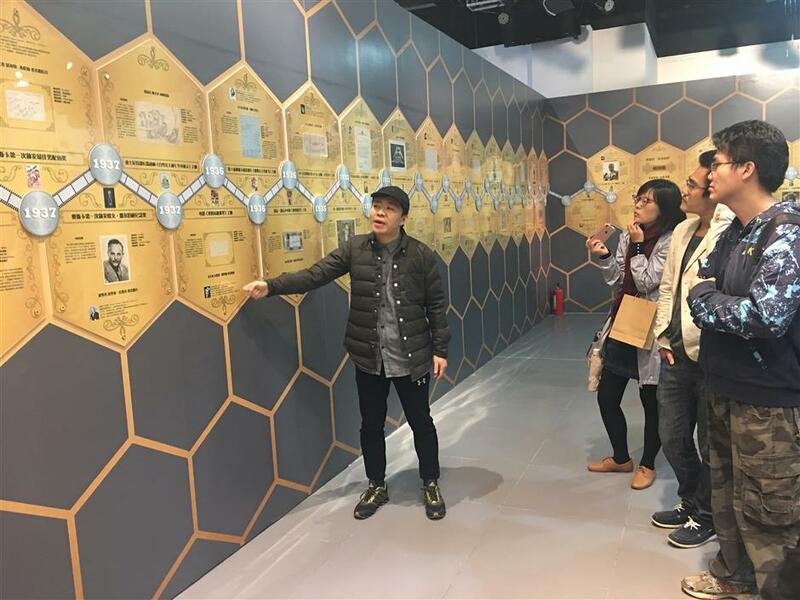 The exhibits, including signed photographs of Audrey Hepburn and Charlie Chaplin, a check signed by Greta Garbo, a handwritten letter from Ingrid Bergman as well an item of Marilyn Monroe's clothing, are being exhibited at the Global Harbor Mall in Putuo District. The Eternal Legend exhibition, which opened at the weekend, runs till February 21. It includes items from 60 Hollywood stars from 1925 to 1965 — an era known as the golden age of Hollywood. Cheng Hao, the collector of the exhibits, said it covers over 70 percent of the important figures in the American film history, including 30 Oscar winners and renowned directors. Five major Hollywood film companies, Warner, MGM, Paramount, Universal and United Artists, are represented at the exhibition. 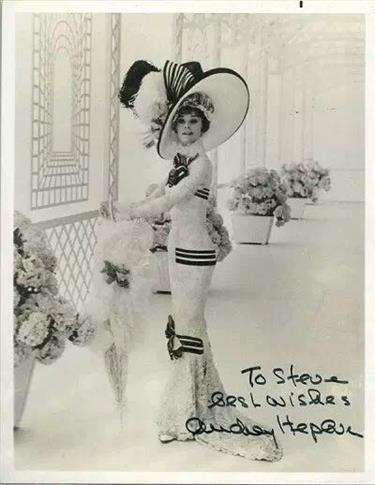 A signed stage photo of Audrey Hepburn for the film "My Fair Lady" in 1964. Most of the exhibits are handwritten letters or scripts, signatures, signed photos and items of clothing. The earliest sketches of popular cartoon figures such as Popeye the Sailor as well as Snow White and the Seven Dwarfs are also displayed. Other exhibits include original posters of classic movies such as "Gone with the Wind" (1939), "Waterloo Bridge" (1940), "Casablanca" (1942) and "Roman Holiday" (1953). The exhibition is in chronological order with the outstanding actors, actresses or directors being highlighted. A portrait without makeup of Charlie Chaplin taken in 1942, is showcased. The photo was taken after his classic work "Modern Times" gained worldwide popularity. 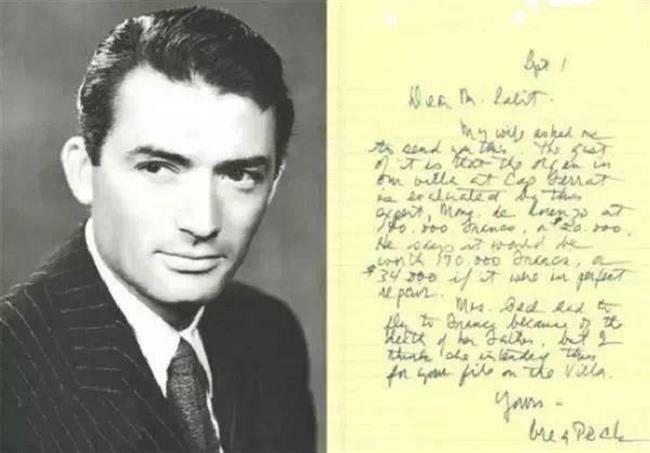 A handwritten letter by Gregory Peck. Other exhibits include a signed photo of Anna May Wong, the first Chinese American Hollywood star taken in 1927 before she became famous. A check signed by Douglas Fairbanks, nicknamed "the King of Hollywood," is also on display. In 1937, he became the first chairman of the Academy of Motion Picture Arts and Sciences. Classic scenes from Hollywood movies such as the "La Bocca della Verita" and the blue motorcycle in "Roman Holiday" as well as the street lamps and umbrellas in "Singin' in the Rain" are replicated in the exhibition. "The exhibition involves the reasons for the great success of Hollywood that should be studied by Chinese actors and directors nowadays," said Liu Haibo, deputy dean of the Shanghai Vancouver Film School. The exhibition opens from 10am to 9pm daily at the arts center on the fourth floor of the mall.